"Archbishop Mario Zanin’s visit to Xuanhua 9"
Candid photos Archbishop Mario Zanin’s visit to Xuanhua. 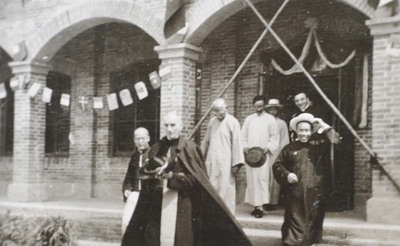 Archbishop Mario Zanin’s visit to Xuanhua 9. June 1934. Société des Auxiliaires des Missions (SAM) China Photograph Collection, Whitworth University Library, Spokane.